While Zagreb can feel a world away from the seascapes of the Adriatic, this Croatian city has a charm of its own that is proving to be popular among tourists from across the globe.It has its own unique culture, arts and music scene, as well as stunning architecture and a distinctive landscape. In the past, the city has been somewhat neglected by tourists, but the world now seems to have realised that Zagreb is a fantastic place for a getaway. The small metropolis is perfect for strolls – whether romantic or leisurely – and its character can be seen in every nook and cranny. As you walk around, you will see Austro-Hungarian influences in the architecture, mashed together will socialist elements. It shouldn’t work, but it does, and the mix of styles is striking. You will find everything you would expect in a cosmopolitan city in Zagreb, including a plethora of lively cafes, fascinating museums and galleries, theatres, concerts and historical landmarks. It’s overflowing with activity, so much so that it rivals other European cities, like Prague and Budapest. What makes it stand out from its competitors is the fact that it is a year-round city, as there is something to see and do no matter what the season is. In the autumn and winter, you can hit the slopes at Mount Medvednica, while Jarun Lake provides the perfect backdrop for a summer holiday. You can swim or try your hand at sailing, or put on your dancing shoes and head to one of the vibrant lakeside nightclubs. 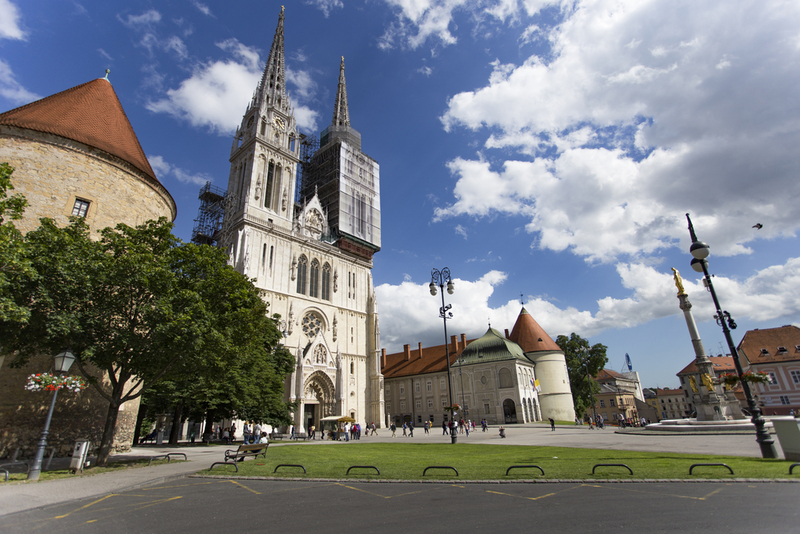 One of the must sees on your trip to Zagreb is its breathtaking 13th-century cathedral. Located in Gornji Grad, the structure is Croatia’s tallest building, with its twin towers rising to an impressive 354 feet into the clouds. The Musej Mimara also can’t be missed, as it contains some of the city’s most fascinating pieces of art, including works from Veronese, Van Dyck and Renoir. You will also find some of the best work from Croatian artists from the 19th and 20th centuries in the Moderna Galerija. To make your stay extra special, you should stay in the luxurious Esplanade Zagreb Hotel, which combines Art Deco design with contemporary grandeur. Here you’ll find a five-star service, first-class facilities and spectacular surroundings.